How do I unsubscribe my email? Unsubscribing your email from PracticePanther messages. 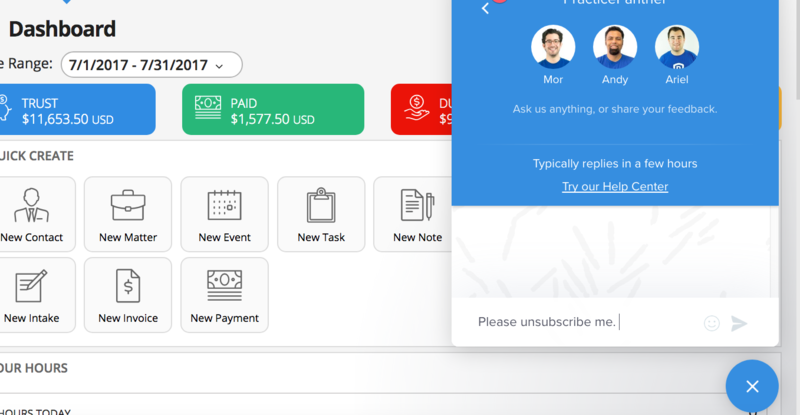 If you are receiving emails from PracticePanther and wish them to discontinue, simply email help@practicepanther.com ,or click on the blue chat bubble in the lower right corner of your account and let us know. We will unsubscribe your email.